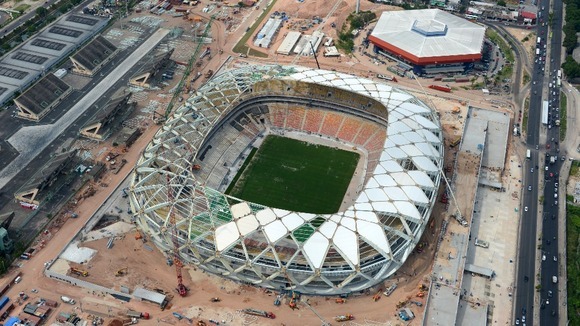 Workers at a World Cup stadium in the Brazilian city of Manaus are threatening to go on strike after a third worker died during the construction of the venue. A 55-year-old Portuguese worker was killed on Friday while disassembling a crane. He is now the third person to die at the venue in less than a year. Construction of the stadium, which is due to host England’s opening game against Italy, is already behind schedule.